Members of the Lorain Sports Hall of Fame Committee joined in the alumni walk at the annual Lorain schools Homecoming Bonfire on Thursday Oct. 8 at Lakeview Park. 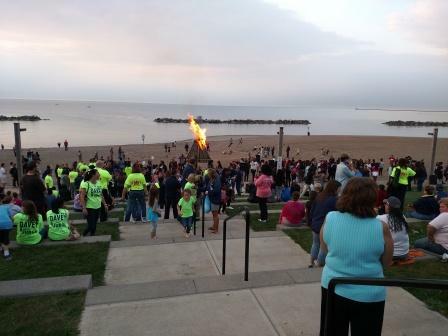 Alumni from all of Lorain’s high schools past and present were invited to take part in the alumni walk. Here are some photos and a video from the event. 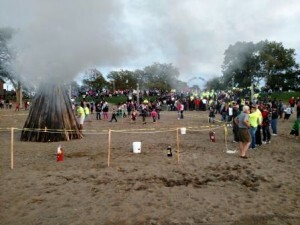 The bonfire blazes on Lakeview Beach at the 2015 Lorain Schools Homecoming Bonfire held on Oct. 8. A large crowd gathered on the hillside overlooking Lakeview Beach as the 2015 Homecoming Bonfire was lit. Lorain County coaching legend Bob Walsh has been named to the Ohio Basketball Hall of Fame. He will be inducted at ceremonies in Columbus on May 21, 2016. Coach Walsh was inducted into the Lorain Sports Hall of Fame in 1988. The OBHOF announcement noted Walsh led teams to two state championships, at Clearview and at Oberlin high schools, while attaining a career record of 643-301. He also coached at Vermilion, Elyria Catholic and Elyria high schools before retiring in 2008. He was named Coach of the Year three times by The Associated Press and twice by UPI. Just a reminder that the Sept. 30 deadline to submit nominations for the Lorain Sports Hall of Fame’s Class of 2016 is coming up soon. 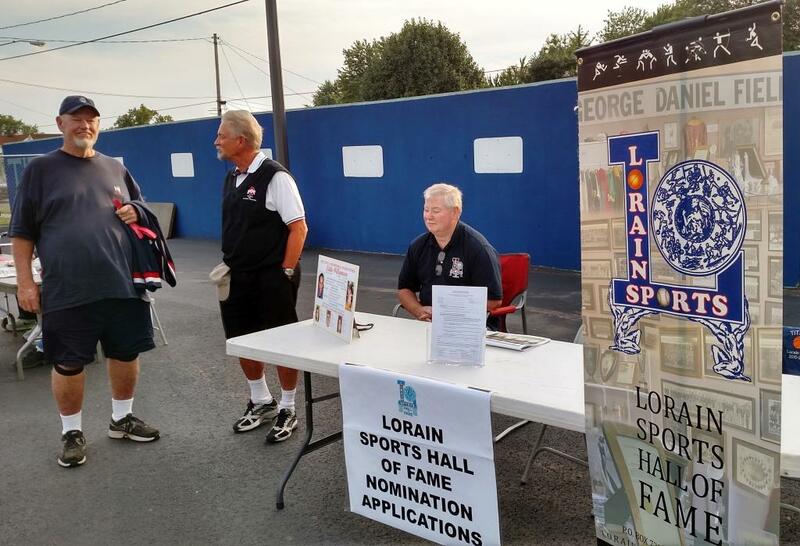 Nomination forms can be obtained online at www.lorainsportshalloffame.com/nomination-process/ or picked up in person at the LSHOF Museum. The museum is in the lobby of the St. Joseph Community Center at W. 20th Street and Livingston Avenue; it is open from 10 a.m. to 1 p.m. on Mondays, Tuesdays and Thursdays.